Tank Blanketing Valves provide an effective means of preventing and controlling fires in flammable liquid storage tanks. Vapours cannot be ignited in the absence of an adequate supply of oxygen. In most instances, this oxygen is provided by air drawn into the tank from the atmosphere during tank emptying operations. 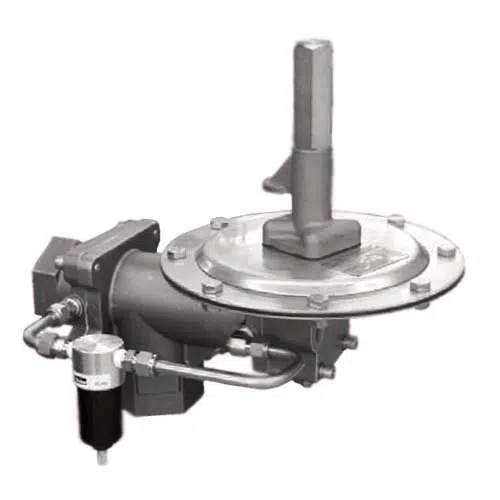 Tank Blanketing Valves are installed with their inlet connected to a supply of pressurized inert gas (usually Nitrogen), and their outlet piped into the tank's vapour space. 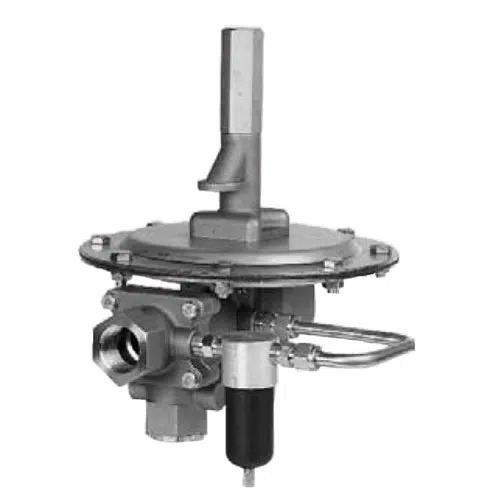 When the tank pressure drops below a predetermined level, the blanketing valve opens and allows a flow of inert gas into the vapour space. The blanketing valve reseals when pressure in the tank has returned to an acceptable level. The blanketing gas contains no air. No supply of air (Oxygen) is allowed to enter the tank. The vapours, therefore, never form a flammable mixture. Tank Blanketing Valves help maintain the vapour space in a non-flammable condition, and also provide make-up gas to insure that the tank's vapour space is not subjected to a vacuum. 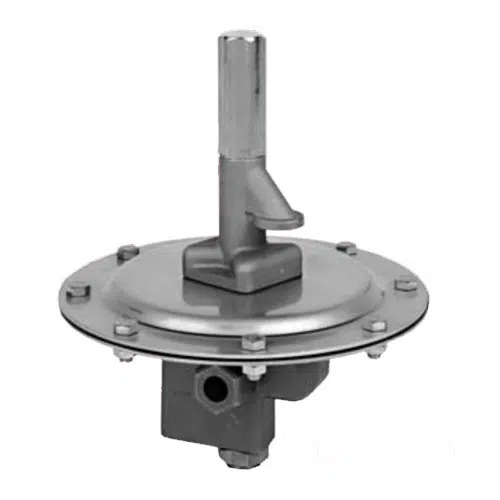 Tank Blanketing Valves can also be utilised to protect products such as purified water or cooking oils from contaminants by maintaining a positive pressure in the vapour space of the storage tank. Pilot Operated Tank Blanketing Valve, 2"
Pilot Operated Tank Blanketing Valve, 1"
Spring Operated Tank Blanketing Valve, 1/2"